Matt Smith is one of the hottest new talents on British television. As the eleventh incarnation of the Doctor in the hit BBC television series Doctor Who — and the youngest actor ever to play the role — he has taken TV audiences by storm. An aspiring youth footballer before a back injury forced him to reconsider his career, Smith left his hometown of Northampton at the age of 18 to study drama and creative writing at the University of East Anglia. An outstanding performance in the National Youth Theatre production of The Master and Margarita in 2003 brought him to the attention of an agent and earned him his first professional acting jobs. Smith's first television appearance came in 2006, as Jim Taylor in the BBC adapatation of Phillip Pullman's The Ruby in the Smoke. His first major role followed a year later, playing Danny in Party Animals. 2007 also saw him début in the West End, starring in Fresh Kills, which he followed with a critically acclaimed performance as Henry in That Face. 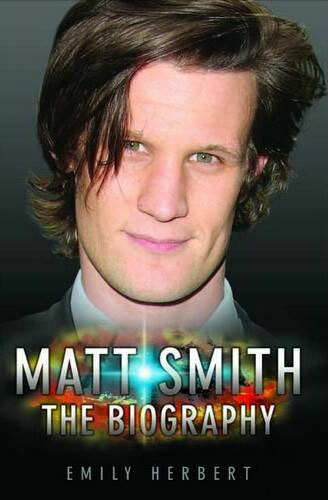 But Smith's biggest break was to be cast in Doctor Who, first appearing in the show on 1 January 2010. Replacing the much-loved David Tennant was no mean feat for a relatively unknown actor like Matt Smith but he has risen to the challenge and had received rave reviews from critics and viewers alike for his quirky, offbeat take on the famous Time Lord. This is the inside story of the new Doctor and his rapid rise to stardom. Emily Herbert is a very experienced author and journalist. She has written biographies of numerous celebrities, including Michael Jackson, Katie Price, Gok Wan and Stephen Gately and contributed to a range of national newspapers. Emily is based in London and her hobbies are ballet, yoga and wine.